Our bear resistant cans are built by a family-owned business in Red Lodge, Montana. which is located just over the Beartooth Pass from the northeast gate of Yellowstone National Park. Our cans were first built for our town which has had a nuisance bear problem. Since then we have provided them to areas in Whitefish and Missoula, Montana, Bayfield Wisconsin, as well as for Yellowstone National Park. 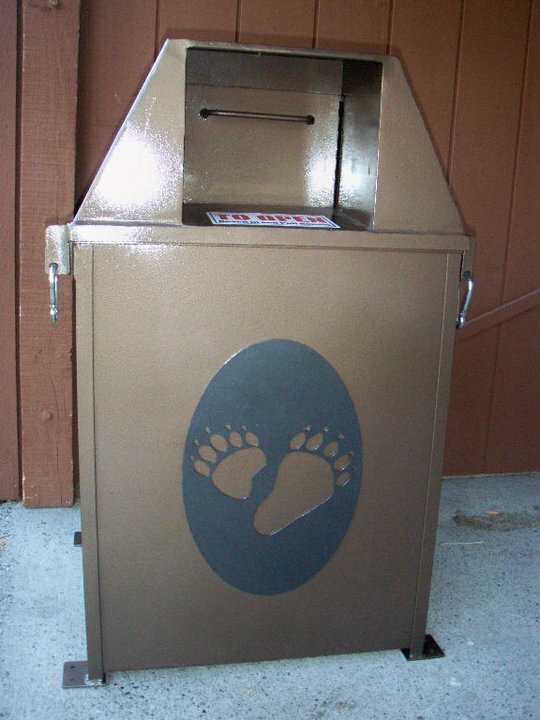 In order for a bear can to be determined “bear resistant” it must be officially tested by the Living with Wildlife Foundation in one of two designated sites in the country. 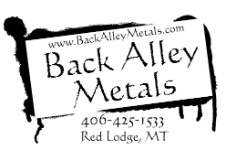 *Built by a family owned business in the heart of Montana bear country. *Approximately 225 pounds, standing 44 inches at the top, 38 inches to the handle, 32 inches to the collection opening, depth and width of 24 inches. The litter collection opening is 12 inches by 8 inches. Any 32 gallon garbage can will easily fit inside. *The bear can is easy to clean and maintain. *No flat surfaces to collect snow, rain, or outside litter. *No latches to rust or freeze shut. *Can be used free standing, or bolted to a surface. *Can be customized with any business, club, or community logo. *A variety of colors and finishes are available from which to choose. You can view the Bear Can tested here.